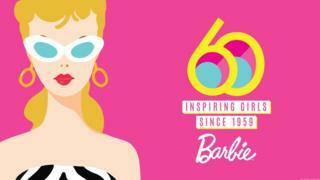 Barbie at 60: How well do you really know the plastic fantastic doll? If you've got a Barbie doll in your toy box at home maybe you should think about throwing her a birthday party - because Barbie is turning 60! She was created back in 1959, with 350,000 dolls sold during the first year. The first ever Barbie was sold at a New York toy fair for $3.00 - the equivalent of about $25 today (that's about £20). These days Barbie is so popular that more than 100 dolls are sold every minute! But her life hasn't been all plain sailing, having had to deal with heartbreak, lawsuits and complaints about her 'unrealistic' body shape, over the last few years. Now she has reached the landmark age of 60, here are some things you probably didn't know about plastic fantastic star. Ruth Handler named the doll after her daughter Barbara, but the original Barbie doll wasn't modelled on the real-life Barbie when it came to looks. Instead Ruth drew inspiration from Bild Lilli, a German doll created in 1952. The first ever Barbie had quite a different look to the dolls on sale today, which are made by a massive toy company called Mattel. Barbie has often been criticised for promoting just one kind of unrealistic body image, so in 2016 Barbie got a major overhaul with 7 new skin tones, 22 eye colours, 24 hairstyles and three new body types "tall, curvy and petite". 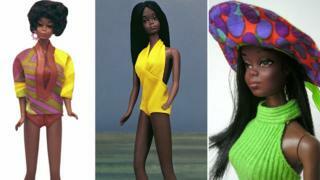 This year, even more new Barbies will be released, including a range of dolls with disabilities. 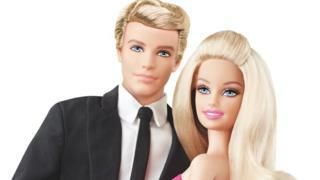 Barbie was just two years old, when she got her first boyfriend, Ken (named after creator Ruth Handler's son Kenneth). Technically she wasn't ever marketed as 'Barbie' - rather as Barbie's friend Christie - but she still marks a major milestone as the first non-white version of the doll produced by Mattel. She could never quite compete with Barbie's popularity however, and was discontinued in 2015 when Barbie got a new friend called Nikki. 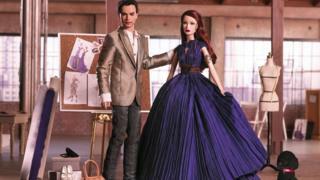 Barbie's big family could rival the Kardashians if they got their own reality show. Sister Skipper was introduced in 1964, twins Todd and Tutti were around from 1965 to 1971, and Stacie hit shelves in 1990. Kelly was sold from 1994 to 2010, before she was replaced by Chelsea in 2011. Barbie's youngest sister Krissy is the most recent addition to the family, although none of the kids ever seem to come with a parent, leaving Barbie to take on babysitting duties. 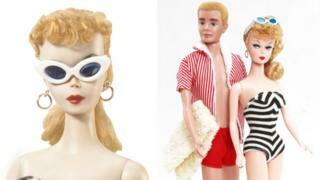 On Valentine's Day in 2004, Mattel confirmed that the toy world's favourite plastic couple had parted ways, with their PR reps saying that both Ken and Barbie needed to spend "some quality time apart". Barbie used the opportunity to show the world she was a strong, independent woman, extending the Barbie brand to clothes, perfume and other merchandise. Mattel also restyled Ken in 2006, calling him "a changed man" who "exudes a new sense of his own personal style". Although Barbie dated Australian surfer Blaine during their time apart, her love for Ken was still strong and the two reunited on Valentines Day 2011, after Ken launched a successful media campaign to win her back. Shortly afterwards, Mattel released a new set of Ken and Barbie dolls for sale, decked out for a wedding! Danish pop act Aqua stormed the charts in 1997 with the song Barbie Girl, in which a female singer portraying Barbie refers to herself as a "blonde bimbo". Barbie's maker Mattel wasn't impressed and launched a lawsuit against MCA Records, arguing that the song infringed copyright and damaged Barbie's image. But a US judge ruled that Barbie must accept that being parodied is part of the job, saying: "With Barbie, Mattel created not just a toy but a cultural icon. With fame often comes unwanted attention." His court also upheld a decision to throw out a defamation suit brought against Mattel by MCA, over comments allegedly made about the record company. Barbie has so far released 36 films under her own name, from titles like Barbie and the Nutcracker back in 2001, to her most recent release Barbie Dolphin Magic. And that's not all. She's also appeared in Disney's hit film series Toy Story, starring as a tour guide in Toy Story 2, and having a lead role alongside Ken in Toy Story 3. She's also got her own YouTube Channel with more than 5 million subscribers and has a new major feature film coming out next year, with Margot Robbie taking on the role. She's got more than a billion outfits! Yes - it's thought that a staggering one billion outfits have been made for Barbie and her friends since her 1959 debut. With a wardrobe THAT large, there can be no denying that Barbie is a true fashion icon! Famous fashion designers including Ralph Lauren, Burberry, Versace, Moschino, Christian Dior and Givenchy have designed special outfits for her, and there's even been a Barbie-inspired show at Milan Fashion Week. You certainly wouldn't be leaving these Barbies lying on the floor where your little brother or sister can draw all over them with felt-tip pens. If you got hold of either of these Barbies, you want to keep them safely locked away due to their eye-watering price tags. Pink Diamond Barbie sells for $15,000 (£11,300), created by celebrity fashion designers Phillipe and David Blonde, but she still can't compete with this special edition Barbie in the photo above, created by Australian jewellery designer Stefano Canturi. That doll sold for a whopping $302,500 (£229,000) to raise money for the Breast Cancer Research Foundation. In the Quiz I got 6/10. Well done! You know your Barbie. Give yourself a pat on the back.